A zero-maintenance, brushless, thermostatically controlled DC compressor operates our 12 or 24 V DC refrigerators & freezers. A patented low-frost system reduces frost and moisture build up for low maintenance. High-quality construction provides excellent reliability and long life. Some models are available in 48VDC. These high-efficiency refrigerators and freezers have exceptionally low energy consumption, requiring smaller, less expensive power systems and low operating expense combined with thick insulation and refrigeration system optimized for solar, Hinergy refrigerators and freezers provide outstanding economical and reliable operation.they can easily work even with the small amount of power generated by the solar panels. 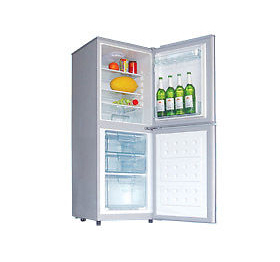 From the perspective of long-term investments, these refrigerators are rather an attractive deal. 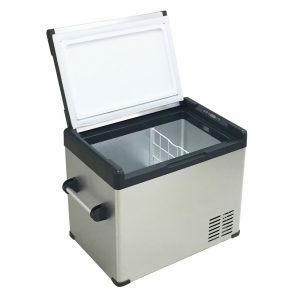 Being one of the most reputed suppliers of solar-powered refrigerators and freezers, we always make sure to provide the best quality equipment, so that, you can be confident when dealing with your customers. So, checkout our range of products.